The Galactic Imprints sounds were created as part of the series of sounds for the powerful Energetic Balance and Harmony practitioner program. This unique program has been taught to and shared with a few select practitioners only, as the information it contains is powerful indeed. This specific set of sounds deals with the imprinting or overlaying of the issues of a universal and galactic nature on those of an earthly or human existence. Many still mistakenly believe that we are all that there is, that Earth is the only ‘inhabited’ bastion in space, and that all revolves around what happens on our planet. Sorry people, time to wake up and smell the roses, we are and can be affected by the movements of other planets and star systems, and we can be affected by imprints [my explanation] from other times and places. Steve Richards, who I have known for many years and who I studied Holographic Kinetics with describes man as a multi dimensional being in a multi dimensional world. So thank you Steve for qualifying what I already knew, for we truly do live in a multi dimensional world. Much of my work for many years has been ‘dimensional’ working with other ‘realms’ and areas of consciousness, for many years I did not discuss this area of my life except with a select few colleagues and friends. It really isnt a topic for polite conversation over tea and scones, and would either have people making a mass exodus for the door, or alternatively, calling for the men in the white coats. 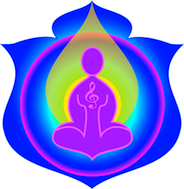 A series of enormously powerful and ‘out there’ experiences led to the creation of many of the Energetic Balance and Harmony sounds, and the creation of the unique Energetic Balance and Harmony course which has been by ‘invitation only’ to select practitioners in 2008. Much of the work behind these specific sounds has been supported by some very special people in my life, Susan Ormsby of course, my esteemed colleague and friend, Lilian Cunningham and Debbie Castellano who have been with me for much of this part of the journey, as colleagues, friends, sounding boards, surrogate ‘bodies’ and most importantly my ‘extra family’. Kerry, my wonderful friend and mentor, who often says ‘Don’t tell me, I don’t want to know’ yet never misses a call for assistance, Carol, later on the scene, yet wise beyond her years. I thank you all, and acknowledge you for the wonderful people that you are. Comment From Susan - I remember when I first studied the Energetic Balance and Harmony program. While I have always seen my role to assist with bringing the Sounds From Source programs to the world - being an actual practitioner was not particularly on my radar. However, as more sounds came in, I began to have a fascination with the material more and more. I have used this sound more often than I care to remember. The difference in people once they are 'cleaned up' from these sounds is quite dramatic. Fortunately - not everyone needs these sounds - but if you have tried a lot of other therapies - give energy therapy a try. Different perspectives and tools can shift things most other therapies do not recognise and there is a major difference and flow on affect for the client. All of the Energetic balance and Harmony sounds, Negative Influences, Retained Memories, and so on.